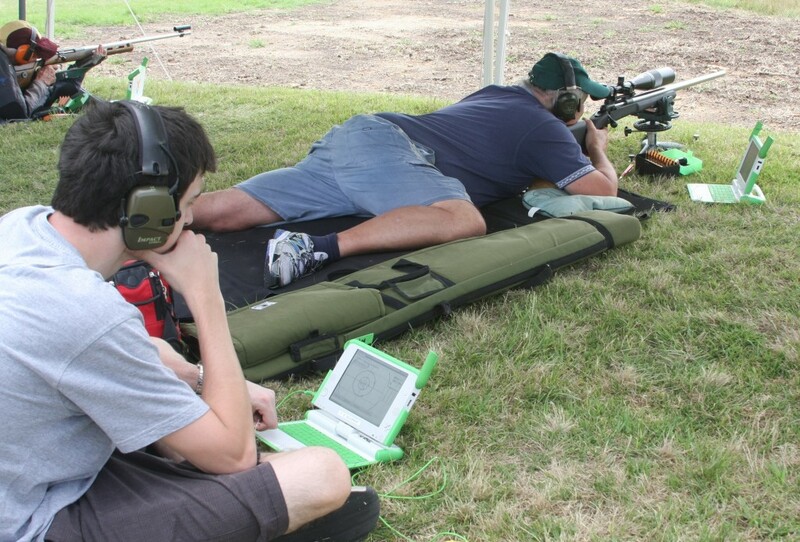 On Saturday, 6th December 2014, the North Shore District Rifle Association conducted their first paperless competition at the Hornsby Rifle Range using HEXTA electronic targets. The occasion was the NSDRA Christmas Shoot. Something is unusual? Scorer has no paper cards! With the recent advances in the HEXTA online database the NSDRA was confident they could run the event without manual scorecards. Shot results were uploaded automatically in real time and displayed on the homepage of the HEXTA database. HEX Systems first trialled real-time upload in 2011 at the Hornsby Rifle Range, and now all users of HEXTA targets can connect their systems to the internet and their results will be uploaded in real time. Adrian Bonnani, a member of Hornsby RSL Rifle Club and the statistician for the event, said the system performed flawlessly. He sees many advantages in running without scorecards. “I believe that the lack of a scorecard improves the accuracy of results. We often find mistakes in manual scorecards, and there were no mistakes today” Adrian said. Adrian said that because there is no data entry it eliminates human errors in transcribing the results to the stats system. 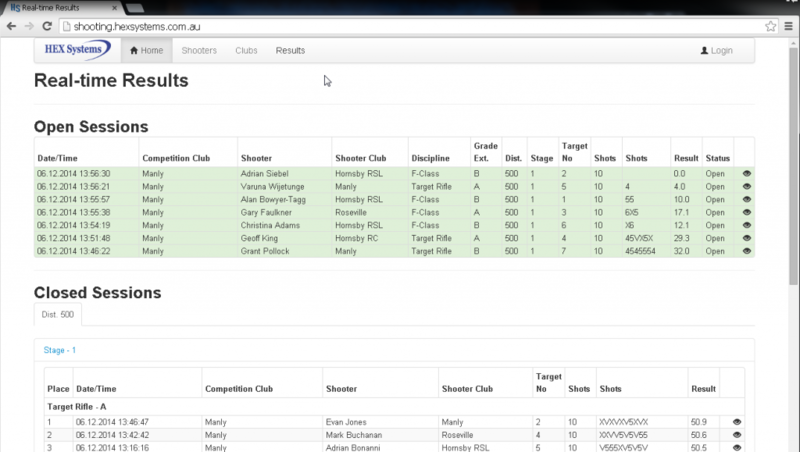 You can watch real-time shooting online of a Saturday afternoon at http://shooting.hexsystems.com.au wherever you are. Practical test on the effects of crosswinds on the shot position determination when sensors are open to environment. Copyright © 2010-2018 HEX Systems Pty Ltd. All Rights Reserved.